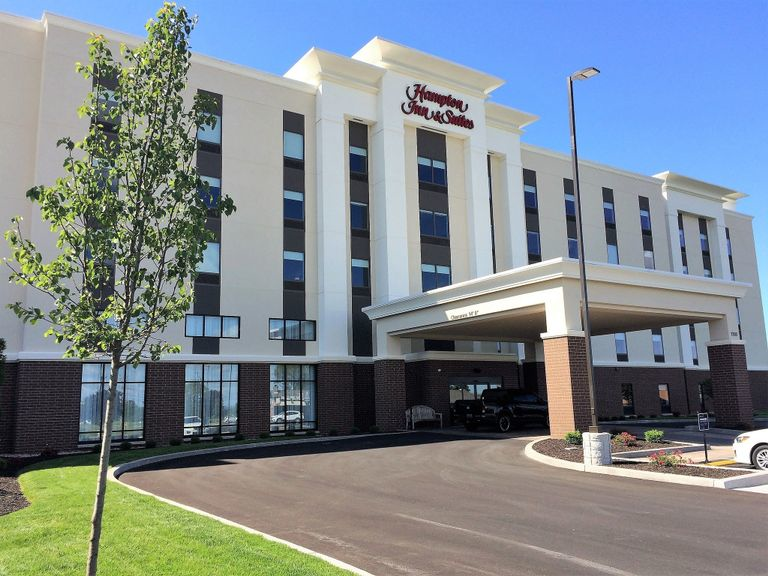 Welcome to Hampton Inn & Suites Syracuse North Airport Area, located at Exit 36 off the New York State Thruway (I-90) and Exit 25 off I-81 in the suburb of Liverpool. 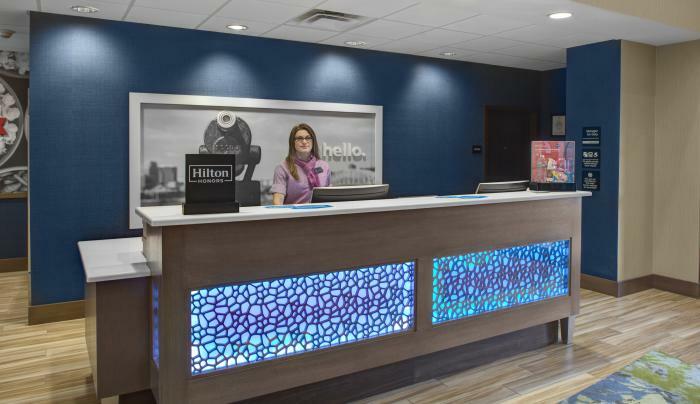 We are 3 miles south of the Syracuse Hancock International Airport with a free 24-hour airport shuttle. Enjoy our free, hot breakfast daily or grab a Hampton On the Run® Breakfast Bag to take away with you, available Monday through Friday. 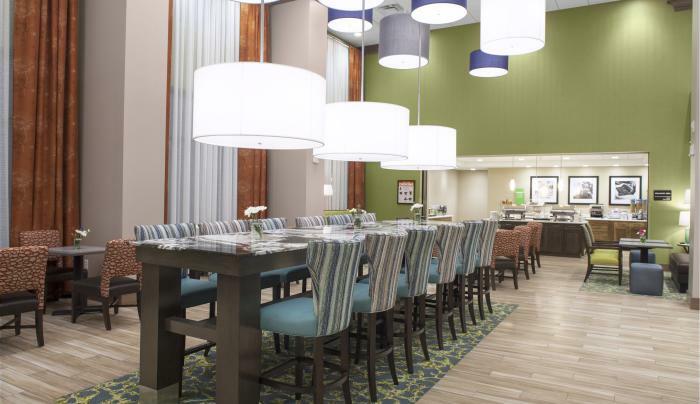 Restaurants in walking distance include Salt City Grill, Denny’s and Burger King. When you need a quick snack, stop by our 24-hour Suite Shop convenience store. 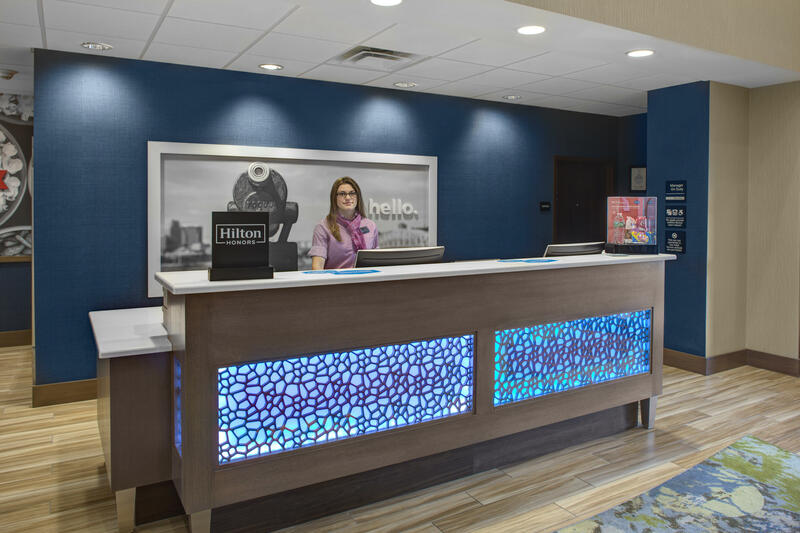 All of our modern guest rooms feature one king- or two queen-sized clean and fresh Hampton beds®, an ample work space, a refrigerator for your snacks and an HDTV with HD channels. Upgrade to a suite for a microwave and a seating area with a sofa bed. 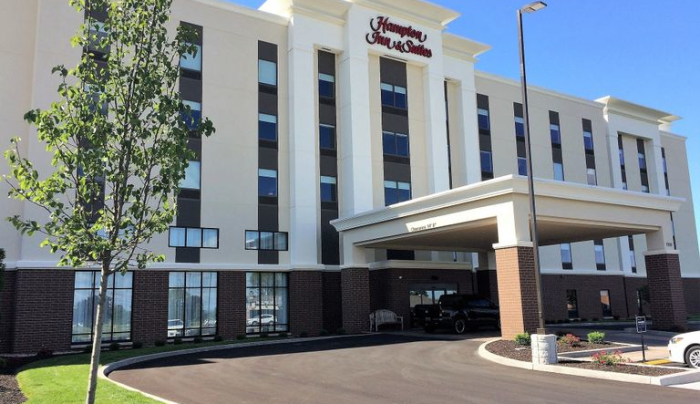 Our Hampton Inn & Suites Syracuse North Airport hotel is a family-friendly, 100% non-smoking hotel with free on-site parking. 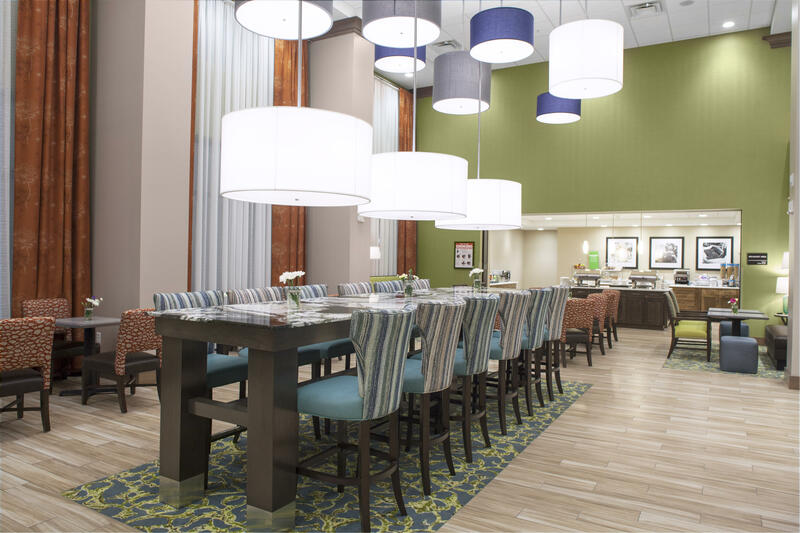 Enjoy fresh baked cookies and popcorn in our dining area each evening along with coffee, tea and juice available 24 hours a day. We look forward to seeing you soon.